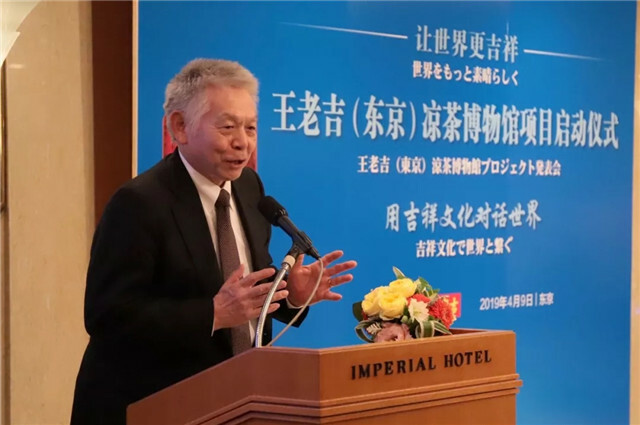 GPHL subsidiary Wanglaoji held a launch ceremony for its herbal tea museum project in Tokyo, Japan on April 9th, 2019. This is Wanglaoji’s second overseas herbal tea museum; the first opening in Manhattan, New York last November. 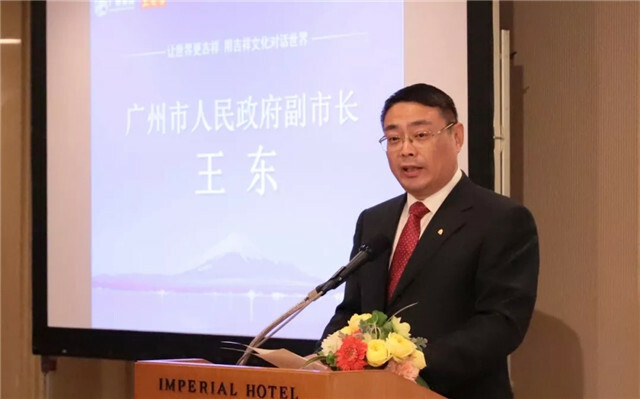 Wang Dong (L3), deputy mayor of Guangzhou, Chen Yuehua (L2), deputy director-general of Department of Commerce of Guangdong Province, and Li Chuyuan (R3), chairman of GPHL at the launch ceremony in Tokyo. 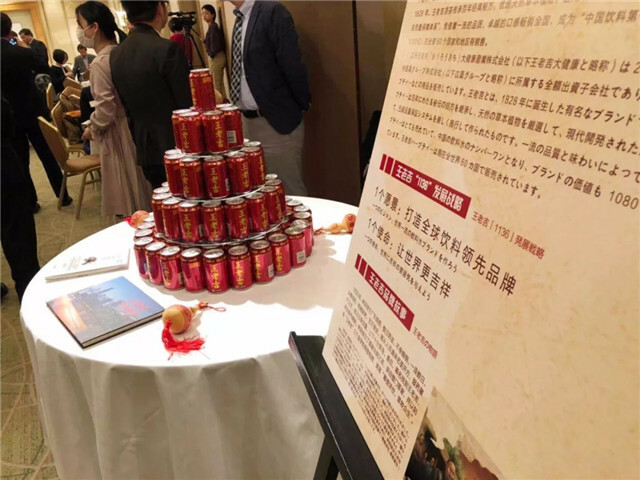 At the launch ceremony, Wanglaoji chaired a cultural exchange to share the unique herbal tea culture with guests from both China and Japan and to discuss how enterprises can further the internationalization of their brands. Wang Dong delivers a speech. Chen Yuehua delivers a speech. Li Chuyuan delivers a speech. The company also launched an event to solicit ambassadors to promote its auspicious culture. The first ambassadors from Japan received their certificates at the ceremony. 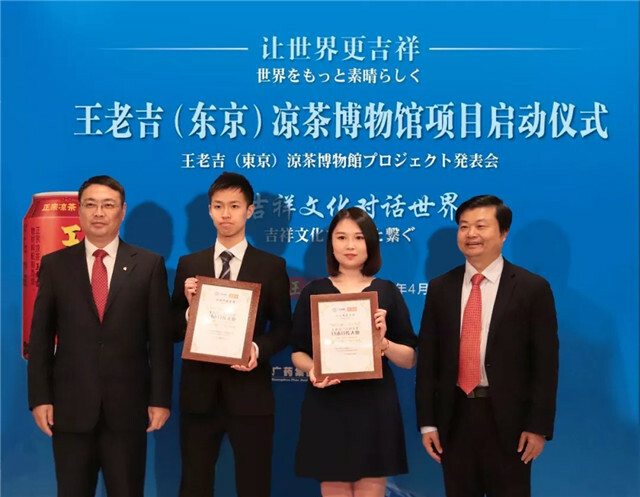 Wang Dong (L1) and Li Chuyuan (R1) present ambassador certificates to two Japanese students. 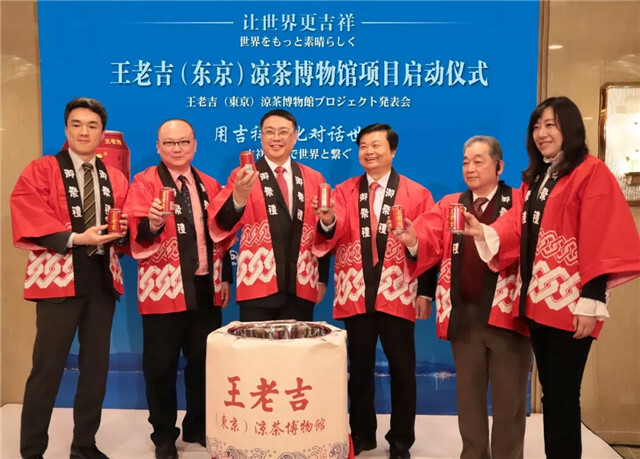 Wanglaoji herbal tea has been registered in and is being exported to 60 countries and regions worldwide, including Japan, with an annual sales value of more than 20 billion yuan, raising the profile of TCM around the world. 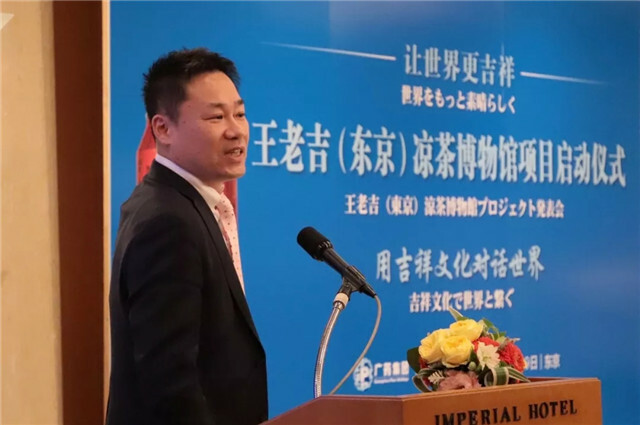 Japan has become one of the most important export markets for Wanglaoji in East Asia. A Japanese guest delivers a speech. Fumi Sasada, CEO of Bravis International, delivers a speech. 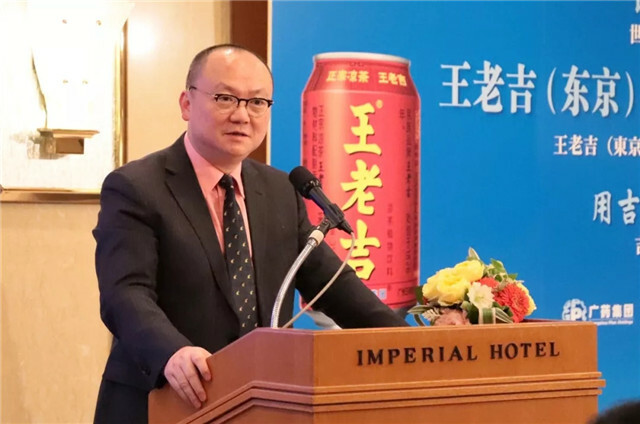 According to GPHL, Wanglaoji plans to open herbal tea museums in 56 cities worldwide, aiming to promote Chinese herbal tea culture and expand its herbal tea drink business in the international marketplace. 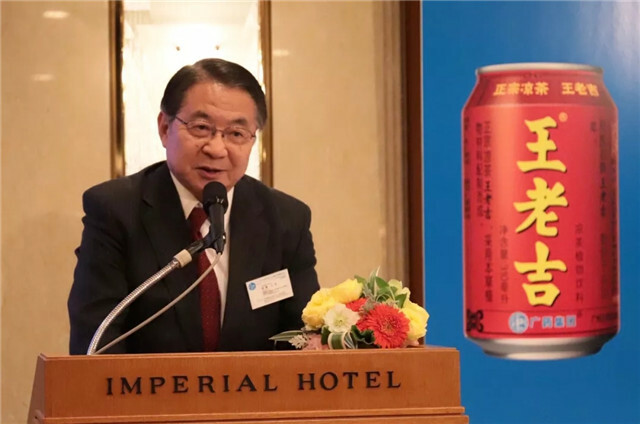 From the New York Bay Area to Tokyo Bay Area, Wanglaoji is making the most of the opportunities provided by the ‘Belt and Road Initiative’ and the construction of Guangdong-Hong Kong-Macao Greater Bay Area to further its goal to be the world’s top beverage producer. 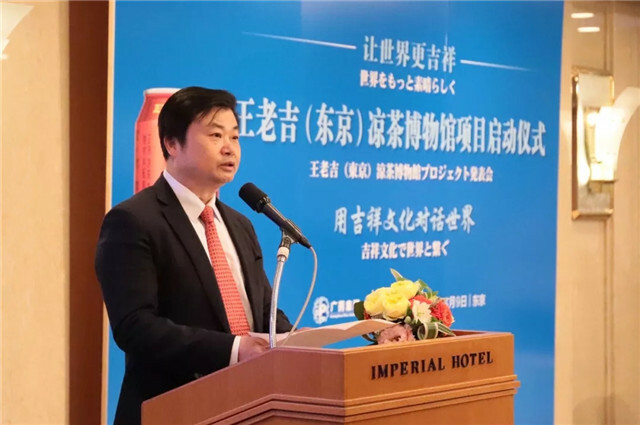 GPHL’s chairman Li Chuyuan said Wanglaoji will continue to promote the exchange and development of the herbal tea industry around the world. 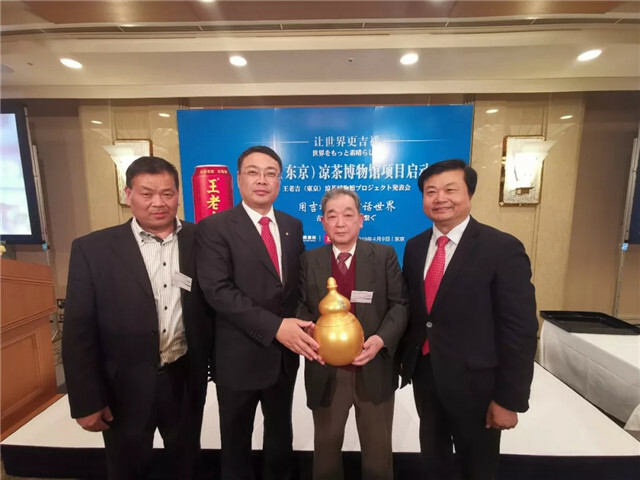 Wang Dong (L2) and Li Chuyuan (R1) present a GPHL Gourd to the chairman of Nikkoh Trading.